Look: There’s nothing more tedious than a bunch of food nerds arguing about Michelin stars, but I continue to be dumbfounded at how underrepresented Oakland is on this list year after year. 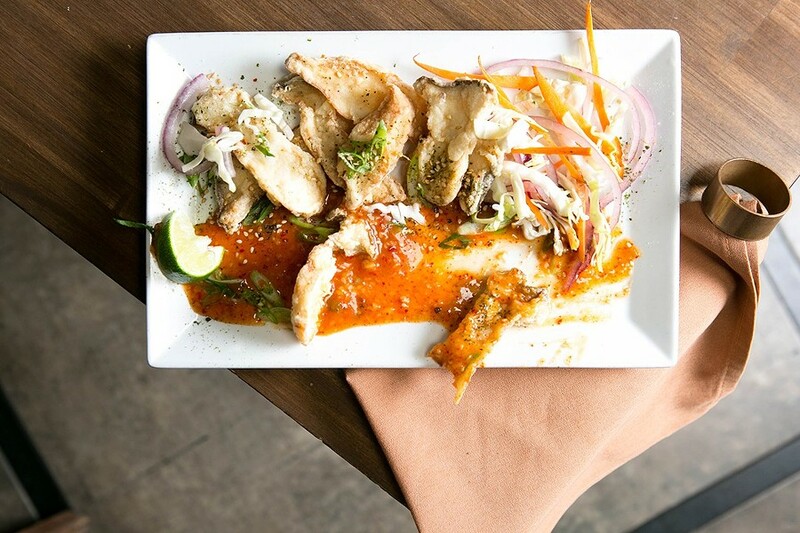 We’re talking about a city that embodies “excellent food at a reasonable price,” perhaps more than any other city in America — and with just three picks, it barely outpaces Danville on the Bib Gourmand list. (No offense to my Danville readers.) Where is Hawker Fare or Miss Ollie’s or FuseBOX? And those are just the no-brainer picks that everyone already knows about, and that have already gotten a slew of national press. We’ll see if any Oakland restaurants (aside from two-star recipient Commis) get some Michelin love next week, when the inspectors announce their 2017 star recipients for the Bay Area. I wouldn’t bank on it. 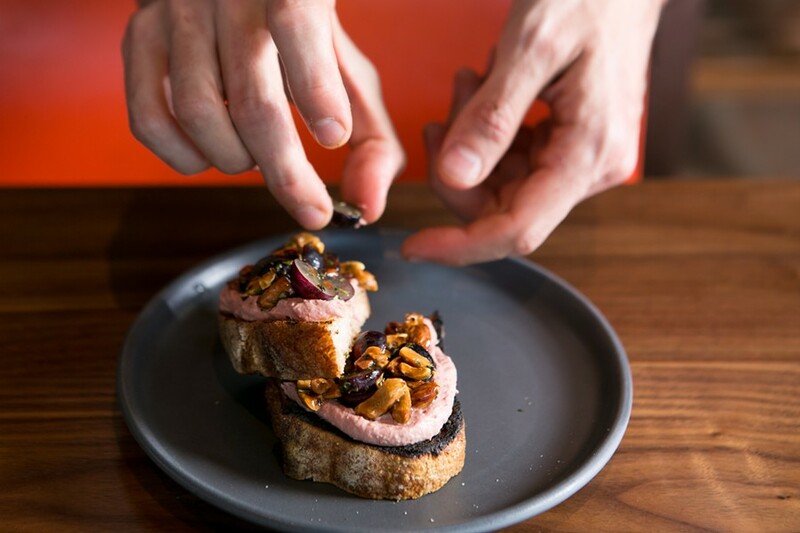 The chicken liver toast at The Advocate. 2) The Advocate (2635 Ashby Ave., Berkeley) will have its last day of business on October 27, Berkeleyside Nosh reports. I gave the Cal-cuisine restaurant a rave review last year, but the kitchen has seen two chef changes since then. 3) Inside Scoop reports that the Rockridge wine bar Toast Kitchen + Bar’s plan to rebrand/reopen as an Austin-style taqueria has been aborted for undisclosed reasons. The restaurant is reportedly now in the process of being sold. 4) Berkeleyside Nosh reports that the owners of Bowl’d are opening a Korean fried chicken restaurant called Wingman in Rockridge at 5295 College Ave. — the Christopher’s Burger spot. 5) The Chronicle reports that chef-butcher Ryan Farr — of 4505 Meats and kettle-cooked chicharrón fame — has taken over Glenn’s Hot Dogs (3506 MacArthur Blvd. ), an old-school hot dog joint in Oakland’s Laurel District, and will turn it into a second location of 4505 Burgers & BBQ, Farr’s meat-focused San Francisco restaurant. 6) ICYMI: Nellie’s Soulfood is — hopefully! — reopening.